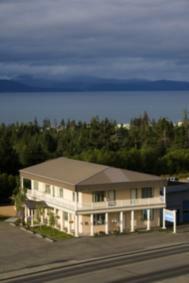 Bay Realty Blog: Homer Alaska Looking Good!! Market is Strong! Homer Alaska Looking Good!! Market is Strong! Debra Leisek This is very good real estate market report for Homer, Alaska. thank you John Pusa and Carol Williams I really appreciate you checking it out! The market is strong and the pictures are gorgeous! Nice data for the analytic in all of us. I remember Alaska as warm and cold this time of year. I ran a placer mining operation in the early 80's north west of Kantishna in Denali. Lots of fun. that sounds pretty interesting! And yes this year is both warm and cold! we are rainy and damp today! Thank you Robert Vegas Bob Swetz ! You must be working really hard... we hardly ever see you!